If you are unhappy with your selection, or require a different size for you or your little critter, we've got you covered! You may return new, unused items, within 30 days of delivery for a full refund. All tags and hygiene liners must be intact for swimwear to be returned. Shipping costs will be covered if the return is a result of our error (you received an incorrect or defective item, etc.). If you need to return an item, please email info@shadecritters.com or call 772-448-7848 with your order number and details about the product you would like to return. We will respond quickly with instructions for how to return items from your order. Orders are typically processed within 24 hrs and ship via UPS ground home delivery from our distribution center located in Massachusetts. 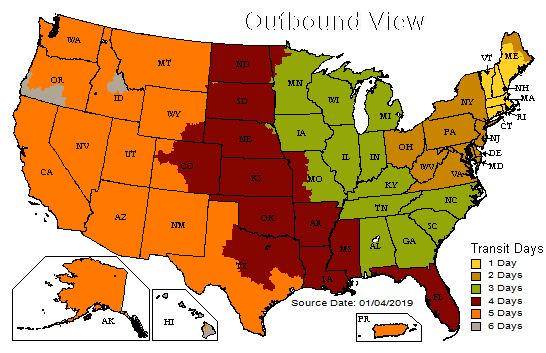 See map below for approximate delivery times after order leaves the warehouse.